Foodies, Get Your Fix at Secrets The Vine! This #FoodieFriday we’re excited to share photos and excerpts of a review from our food savvy guest Ambika Devi’s recent trip to Secrets The Vine Cancun Resort & Spa. 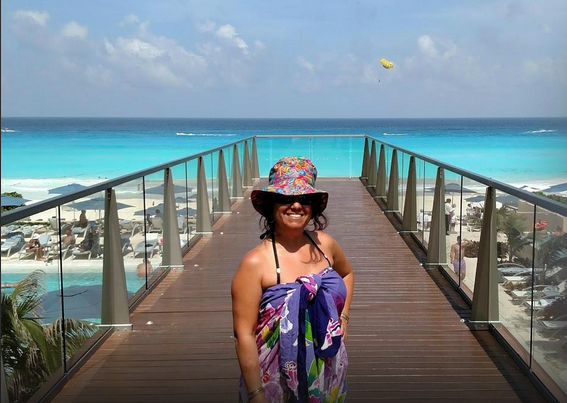 Posing in front of the gorgeous view at Secrets The Vine Cancun Resort & Spa. Photo credit: Ambika Devi.